HA NOI (VNS) — Airport service charges will be increased on October 1, leading industry experts to predict that ticket prices will rise. 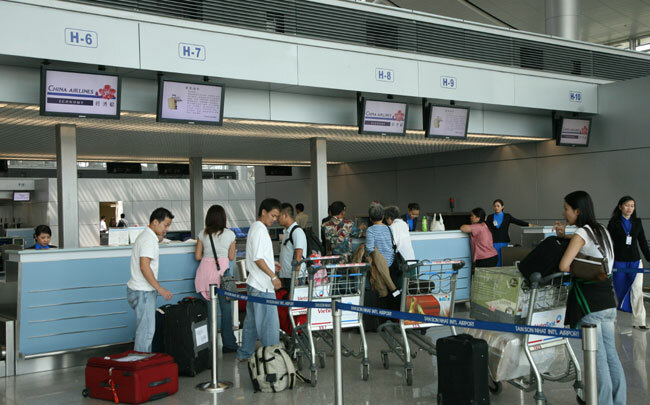 Service charges will rise from VND60,000 to VND70,000 for international airports (Noi Bai, Tan Son Nhat, Cam Ranh, Phu Quoc and Da Nang) and from VND50,000 to VND60,000 for domestic airports such as Phu Cat, Ca Mau, Buon Ma Thuot and Lien Khuong. A fee of US$25 per passenger will also be applied at Noi Bai's newly constructed Terminal 2. Additionally, the charge for freight transport will increase by 10 per cent from $15 to $17 per tonne. Airline representatives were skeptical that the increase in airport service charges would improve airport service quality. Moreover, Vo Huy Cuong, Deputy Director of the Civil Aviation Authority of Viet Nam (CAA), predicted that the additional charges would lead airlines to raise ticket costs. This could discourage passengers from pursuing air travel, airline representatives warned.